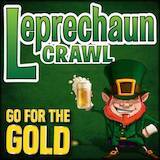 The 7th Annual Reno Leprechaun Crawl is already one of the largest costumed bar crawls in the nation, and this year so get ready now, crawlers- and prepare for the funnest night you’ll ever have covered in GREEN. ☘Thousands of partiers invading downtown Reno for St. Patrick’s Day weekend! ☘30% off hotel rooms at the best resort hotel casinos in the middle of downtown! ☘30 different participating downtown bars, nightclubs and restaurants all in walking distance! ☘ Over 100 different beer and drink specials ranging as low as $2-$4! ☘No cover at any of the locations! ☘Specially-themed live entertainment, go-go dancers and DJs! HOTEL DISCOUNTS, BAR LINEUP, SPECIALS & CUP SALES ANNOUNCED IN DECEMBER 2018!